Today is my sister Ashley's birthday, so my thoughts and feelings of gratitude are especially focused on her. 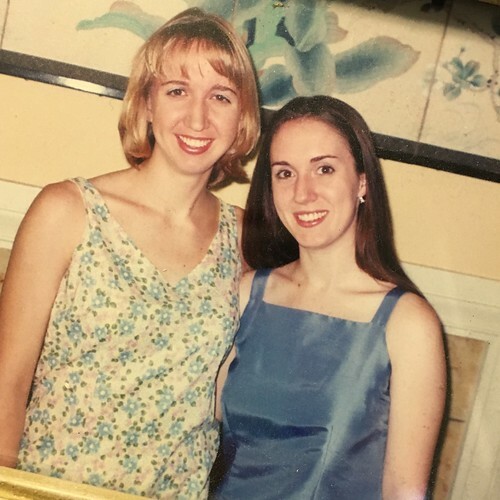 This picture was taken at one of my bridal showers--nearly 16 years ago. It's one of my favorite pictures of the two of us. About a month later she would stand beside me as my maid of honor. Though we live about 400 miles apart, she's still standing beside me--always offering love, laughter and support via phone calls or texts. She's physically been there for so many happy times, visiting her nephews and niece only hours after their births. I remember especially that for Tobin's birth, she was our first family to make it into town, arriving before he was even a day old. She makes frequent visits throughout the year to spend weekends with us. In fact, she'll be in town next weekend to watch the boys' baseball games. The kids adore her and always have so much fun with her. Ash has also been with me through the hard times, especially three years ago as I went through chemo and surgery. I remember one of my last chemo treatments, we had someone else scheduled to help out but they ended up having an emergency of their own, so she dropped everything: got off work, drove from Atlanta and stayed with us for a few days. I was thinking about how thankful I am to have grown up with her. And then it occurred to me, we are still "growing up" together. Part of our growing-up story over the past couple years has been loving Ashley and her husband Donnie through their unexpectedly difficult journey to become parents. 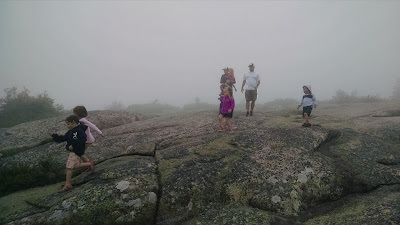 Ashley has bravely shared about that journey on her own blog. Today, on her birthday, I hope that each of you reading this will pray for Ashley and Donnie and the baby that will be theirs one day. And please also pray for them as they experience what they're going through now: waiting and hoping--all with some heartache. My greatest hope for her is that today--and always--she will feel the love and realize the joy she brings to all who know her.